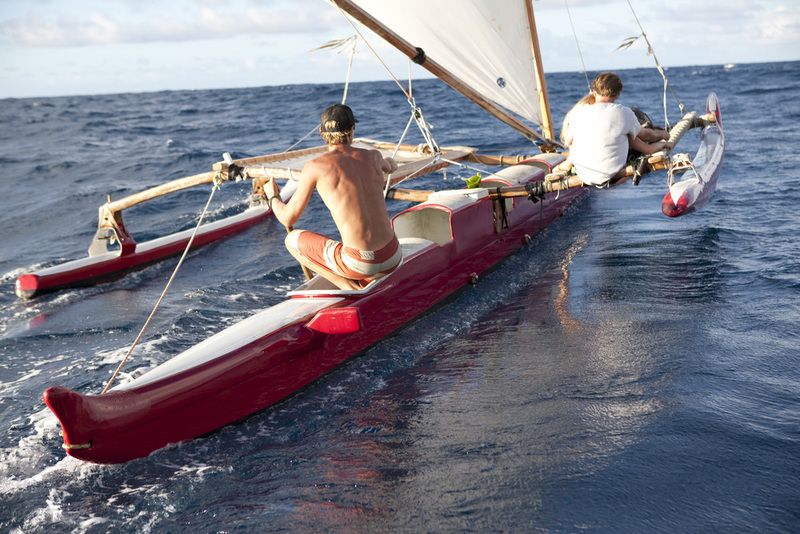 Sail into Hawai‘i's past & be a part of Hawai‘i's present. The calm waters of the morning offer excellent coral reef snorkeling and easy sailing in the morning light. Start your day off right with a easy morning sail, a dip in the water and an epic view. Did we mention this is the best time to see dolphins and turtles! Guaranteed. 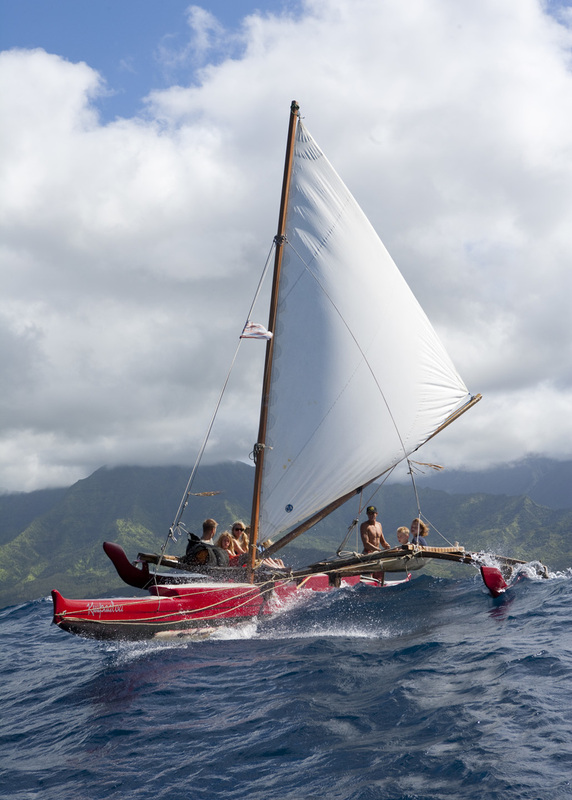 Enjoy the afternoon in Hanalei bay while the wind picks up as we venture out side of the bay and are able to get a taste of the true open ocean. From this perspective, we take in the entire Namolokama Mountain Range in which the town of Hanalei is nestled beneath. On this tour we have more time to relax on the canoe and learn about the history of Hanalei & the stories that make it so special. We would call this sail moderate. 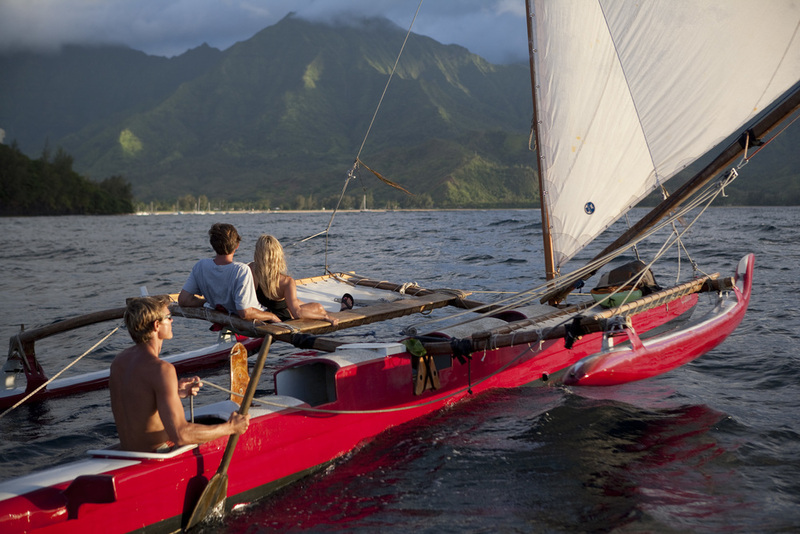 End your day with this epic sunset sail aboard the Ku'upa'aloa. In the calm of the late afternoon waters, we'll cruise the bay and watch the colors begin to change as the sun sets. Snuggle up to your loved ones (or maybe some newly made friends) and enjoy a one of a kind sunset that only Hanalei could produce. Specially ordered daily just for YOU! All tours are an hour and a half long (unless conditions change) with a maximum seating capacity of 6 people at a time. Check in is at Pu'u Poa beach directly in front of the St. Regis Princeville hotel. If you would like an exclusive or private sail, we do offer private tours and group prices. Please contact us directly for details!